SAN FRANCISCO — Tesla has lost two of its most senior financial executives in short succession within weeks of when the electric-car maker will give an update on the Model 3 sedan that it's struggled to mass produce. Susan Repo, Tesla's corporate treasurer and vice president of finance, left to become the chief financial officer of another company, according to a person familiar with the matter. 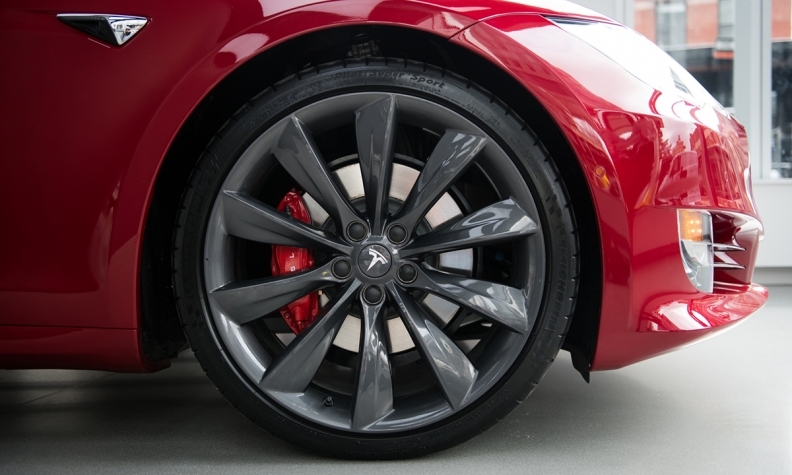 Last week, Tesla disclosed Chief Accounting Officer Eric Branderiz parted ways for personal reasons. Tesla is expected to report production and deliveries early next month that will be closely watched for whether the company reached a target to make 2,500 Model 3 sedans a week by the end of the first quarter. CEO Elon Musk has delayed manufacturing goals several times for the car that Tesla has spent billions on to reach more mass market consumers. A base version will eventually be priced at for $35,000 before incentives. "Elon Musk has to be careful to stabilize his company" amid reports of quality issues with the Model 3, a recent production pause for the car and the spate of management changes, said Ferdinand Dudenhoeffer, the director of the University of Duisburg-Essen's Center for Automotive Research. "That doesn't look very comfortable." Repo, who joined Tesla in 2013, according to her LinkedIn profile, couldn't immediately be reached for comment. The person who confirmed her departure wasn't authorized to speak publicly and asked not to be named. In addition to losing Repo and Branderiz, Jon McNeill, Tesla's president of global sales and service, left to become the chief operating officer of Lyft in February. Musk said at the time that McNeill's department would report directly to him and that there were no plans to search for a replacement. After Tesla announced that former CFO Jason Wheeler would leave in April of last year, Bloomberg News reported on a list of more than two dozen executives who had parted ways with the company during the previous 12 months. Since then, other prominent management departures have included Lyndon and Peter Rive, Musk's cousins who had joined him in co-founding SolarCity; Chris Lattner, an Apple hire who left after leading Tesla's Autopilot engineering team for less than six months; Kurt Kelty, a longtime battery executive; and Diarmuid O'Connell, vice president of business development.